In psychopathology, dissociation happens when thoughts, feelings, and experiences of our consciousness and memory do not collaborate well with each other. This module provides an overview of dissociative disorders, including the definitions of dissociation, its origins and competing theories, and their relation to traumatic experiences and sleep problems. Define the basic terminology and historical origins of dissociative symptoms and dissociative disorders. Describe the posttraumatic model of dissociation and the sleep-dissociation model, and the controversies and debate between these competing theories. What is the innovative angle of the sleep-dissociation model? How can the two models be combined into one conceptual scheme? Think about the last time you were daydreaming. Perhaps it was while you were driving or attending class. Some portion of your attention was on the activity at hand, but most of your conscious mind was wrapped up in fantasy. Now imagine that you could not control your daydreams. What if they intruded your waking consciousness unannounced, causing you to lose track of reality or experience the loss of time. Imagine how difficult it would be for you. This is similar to what people who suffer from dissociative disorders may experience. Of the many disorders listed in the Diagnostic and Statistical Manual of Mental Disorders (DSM-5) (American Psychiatric Association, 2013), dissociative disorders rank as among the most puzzling and controversial. Dissociative disorders encompass an array of symptoms ranging from memory loss (amnesia) for autobiographical events, to changes in identity and the experience of everyday reality (American Psychiatric Association, 2013). Let’s start with a little history. Multiple personality disorder, or dissociative identity disorder—as it is known now—used to be a mere curiosity. This is a disorder in which people present with more than one personality. For example, at times they might act and identify as an adult while at other times they might identify and behave like a child. The disorder was rarely diagnosed until the 1980s. That’s when multiple personality disorder became an official diagnosis in the DSM-III. From then on, the numbers of “multiples” increased rapidly. In the 1990s, there were hundreds of people diagnosed with multiple personality in every major city in the United States (Hacking, 1995). How could this “epidemic” be explained? One possible explanation might be the media attention that was given to the disorder. It all started with the book The Three Faces of Eve (Thigpen & Cleckley, 1957). This book, and later the movie, was one of the first to speak of multiple personality disorder. However, it wasn’t until years later, when the fictional “as told to” book of Sybil (Schreiber, 1973) became known worldwide, that the prototype of what it was like to be a “multiple personality” was born. Sybil tells the story of how a clinician—Cornelia Wilbur—unravels the different personalities of her patient Sybil during a long course of treatment (over 2,500 office hours!). She was one of the first to relate multiple personality to childhood sexual abuse. Probably, this relation between childhood abuse and dissociation has fueled the increase of numbers of multiples from that time on. It motivated therapists to actively seek for clues of childhood abuse in their dissociative patients. This suited well within the mindset of the 1980s, as childhood abuse was a sensitive issue then in psychology as well as in politics (Hacking, 1995). From then on, many movies and books were made on the subject of multiple personality, and nowadays, we see patients with dissociative identity disorder as guests visiting the Oprah Winfrey show, as if they were our modern-day circus acts. Dissociative Identity Disorder (DID; experiencing two or more distinct identities that recurrently take control over one’s behavior) (American Psychiatric Association, 2000). Depersonalization refers to a “feeling of detachment or estrangement from one’s self.” Imagine that you are outside of your own body, looking at yourself from a distance as though you were looking at somebody else. Maybe you can also imagine what it would be like if you felt like a robot, deprived of all feelings. These are examples of depersonalization. Derealization is defined as “an alteration in the perception of one’s surroundings so that a sense of reality of the external world is lost” (Steinberg, 2001, p. 101). Imagine that the world around you seems as if you are living in a movie, or looking through a fog. These are examples of derealization. Dissociative amnesia does not refer to permanent memory loss, similar to the erasure of a computer disk, but rather to the hypothetical disconnection of memories from conscious inspection (Steinberg, 2001). Thus, the memory is still there somewhere, but you cannot reach it. Identity confusion is defined by Steinberg as “… thoughts and feelings of uncertainty and conflict a person has related to his or her identity” (Steinberg, 2001, p. 101), whereas identity alteration describes the behavioral acting out of this uncertainty and conflict (Bernstein & Putnam, 1986). Dissociative disorders are not as uncommon as you would expect. Several studies in a variety of patient groups show that dissociative disorders are prevalent in a 4%–29% range (Ross, Anderson, Fleischer, & Norton, 1991; Sar, Tutkun, Alyanak, Bakim, & Baral, 2000; Tutkun et al., 1998. For reviews see: Foote, Smolin, Kaplan, Legatt, & Lipschitz, 2006; Spiegel et al., 2011). Studies generally find a much lower prevalence in the general population, with rates in the order of 1%–3% (Lee, Kwok, Hunter, Richards, & David, 2010; Rauschenberger & Lynn, 1995; Sandberg & Lynn, 1992). Importantly, dissociative symptoms are not limited to the dissociative disorders. Certain diagnostic groups, notably patients with borderline personality disorder, posttraumatic stress disorder (PTSD), obsessive-compulsive disorder (Rufer, Fricke, Held, Cremer, & Hand, 2006), and schizophrenia (Allen & Coyne, 1995; Merckelbach, à Campo, Hardy, & Giesbrecht, 2005; Yu et al., 2010) also display heightened levels of dissociation. The DES is suitable only as a screening tool. When somebody scores a high level of dissociation on this scale, this does not necessarily mean that he or she is suffering from a dissociative disorder. It does, however, give an indication to investigate the symptoms more extensively. This is usually done with a structured clinical interview, called the Structured Clinical Interview for DSM-IV Dissociative Disorders (Steinberg, 1994), which is performed by an experienced clinician. With the publication of the new DSM-5 there has been an updated version of this instrument. The most widely held perspective on dissociative symptoms is that they reflect a defensive response to highly aversive events, mostly trauma experiences during the childhood years (Bremner, 2010; Spiegel et al., 2011; Spitzer, Vogel, Barnow, Freyberger, & Grabe, 2007). One prominent interpretation of the origins of dissociative disorders is that they are the direct result of exposure to traumatic experiences. We will refer to this interpretation as the posttraumatic model (PTM). According to the PTM, dissociative symptoms can best be understood as mental strategies to cope with or avoid the impact of highly aversive experiences (e.g., Spiegel et al., 2011). In this view, individuals rely on dissociation to escape from painful memories (Gershuny & Thayer, 1999). Once they have learned to use this defensive coping mechanism, it can become automatized and habitual, even emerging in response to minor stressors (Van der Hart & Horst, 1989). The idea that dissociation can serve a defensive function can be traced back to Pierre Janet (1899/1973), one of the first scholars to link dissociation to psychological trauma (Hacking, 1995). The PTM casts the clinical observation that dissociative disorders are linked to a trauma history in straightforward causal terms, that is, one causes the other (Gershuny & Thayer, 1999). For example, Vermetten and colleagues (Vermetten, Schmahl, Lindner, Loewenstein, & Bremner, 2006) found that the DID patients in their study all suffered from posttraumatic stress disorder and concluded that DID should be conceptualized as an extreme form of early-abuse–related posttraumatic stress disorder (Vermetten et al., 2006). The empirical evidence that trauma leads to dissociative symptoms is the subject of intense debate (Kihlstrom, 2005; Bremner, 2010; Giesbrecht, Lynn, Lilienfeld & Merckelbach, 2010). Three limitations of the PTM will be described below. First, the majority of studies reporting links between self-reported trauma and dissociation are based on cross-sectional designs. This means that the data are collected at one point in time. When analyzing this type of data, one can only state whether scoring high on a particular questionnaire (for example, a trauma questionnaire) is indicative of also scoring high on another questionnaire (for example, the DES). This makes it difficult to state if one thing led to another, and therefore if the relation between the two is causal. Thus, the data that these designs yield do not allow for strong causal claims (Merckelbach & Muris, 2002). Second, whether somebody has experienced a trauma is often established using a questionnaire that the person completes himself or herself. This is called a self-report measure. Herein lies the problem. Individuals suffering from dissociative symptoms typically have high fantasy proneness. This is a character trait to engage in extensive and vivid fantasizing. The tendency to fantasize a lot may increase the risk of exaggerating or understating self-reports of traumatic experiences (Merckelbach et al., 2005; Giesbrecht, Lynn, Lilienfeld, & Merckelbach, 2008). Third, high dissociative individuals report more cognitive failures than low dissociative individuals. Cognitive failures are everyday slips and lapses, such as failing to notice signposts on the road, forgetting appointments, or bumping into people. This can be seen, in part, in the DSM-5 criteria for DID, in which people may have difficulty recalling everyday events as well as those that are traumatic. People who frequently make such slips and lapses often mistrust their own cognitive capacities. They also tend to overvalue the hints and cues provided by others (Merckelbach, Horselenberg, & Schmidt, 2002; Merckelbach, Muris, Rassin, & Horselenberg, 2000). This makes them vulnerable to suggestive information, which may distort self-reports, and thus limits conclusions that can be drawn from studies that rely solely on self-reports to investigate the trauma-dissociation link (Merckelbach & Jelicic, 2004). Most important, however, is that the PTM does not tell us how trauma produces dissociative symptoms. Therefore, workers in the field have searched for other explanations. They proposed that due to their dreamlike character, dissociative symptoms such as derealization, depersonalization, and absorption are associated with sleep-related experiences. They further noted that sleep-related experiences can explain the relation between highly aversive events and dissociative symptoms (Giesbrecht et al., 2008; Watson, 2001). In the following paragraph, the relation between dissociation and sleep will be discussed. Researchers (Watson, 2001) have proposed that dissociative symptoms, such as absorption, derealization, and depersonalization originate from sleep. This idea is not entirely new. In the 19th century, double consciousness (or dédoublement), the historical precursor of dissociative identity disorder (DID; formerly known as multiple personality disorder), was often described as “somnambulism,” which refers to a state of sleepwalking. Patients suffering from this disorder were referred to as “somnambules” (Hacking, 1995). Many 19th-century scholars believed that these patients were switching between a “normal state” and a “somnambulistic state.” Hughlings Jackson, a well-known English neurologist from this era, viewed dissociation as the uncoupling of normal consciousness, which would result in what he termed “the dreamy state” (Meares, 1999). Interestingly, a century later, Levitan (1967) hypothesized that “depersonalization is a compromise state between dreaming and waking” (p.157). Arlow (1966) observed that the dissociation between the “experiencing self” and the “observing self” serves as the basis of depersonalized states, emphasizing its occurrence, especially in dreams. Likewise, Franklin (1990) considered dreamlike thoughts, the amnesia one usually has for dreams, and the lack of orientation of time, place, and person during dreams to be strikingly similar to the amnesia DID patients often report for their traumas. Related, Barrett (1994, 1995) described the similarity between dream characters and “alter personalities” in DID, with respect to cognitive and sensory abilities, movement, amnesia, and continuity with normal waking. The many similarities between dreaming states and dissociative symptoms are also a recurrent theme in the more recent clinical literature (e.g., Bob, 2004). Anecdotal evidence supports the idea that sleep disruptions are linked to dissociation. For example, in patients with depersonalization, symptoms are worst when they are tired (Simeon & Abugel, 2006). Interestingly, among participants who report memories of childhood sexual abuse, experiences of sleep paralysis typically are accompanied by raised levels of dissociative symptoms (McNally & Clancy, 2005; Abrams, Mulligan, Carleton, & Asmundson, 2008). Patients with mood disorders, anxiety disorders, schizophrenia, and borderline personality disorder—conditions with relatively high levels of dissociative symptoms—as a rule exhibit sleep abnormalities. Recent research points to fairly specific relationships between certain sleep complaints (e.g., insomnia, nightmares) and certain forms of psychopathology (e.g., depression, posttraumatic stress disorder) (Koffel & Watson, 2009). In the general population, both dissociative symptoms and sleep problems are highly prevalent. For example, 29 percent of American adults report sleep problems (National Sleep Foundation, 2005). This allows researchers to study the relationship between dissociation and sleep not only in patients but also in the general population. In a pioneering study, Watson (2001) showed that dissociative symptoms—measured by the DES—are linked to self-reports of vivid dreams, nightmares, recurrent dreams, and other unusual sleep phenomena. This relationship has been studied extensively ever since, leading to three important statements. First, Watson’s (2001) basic findings have been reproduced time and again. This means that the same results (namely that dissociation and sleep problems are related) have been found in lots of different studies, using different groups, and different materials. All lead to the conclusion that unusual sleep experiences and dissociative symptoms are linked. Second, the connection between sleep and dissociation is specific. It seems that unusual sleep phenomena that are difficult to control, including nightmares and waking dreams, are related to dissociative symptoms, but lucid dreaming—dreams that are controllable—are only weakly related to dissociative symptoms. For example, dream recall frequency was related to dissociation (Suszek & Kopera, 2005). Individuals who reported three or more nightmares over a three-week period showed higher levels of dissociation compared to individuals reporting two nightmares or less (Levin & Fireman, 2002), and a relation was found between dream intensity and dissociation (Yu et al., 2010). Third, the sleep-dissociation link is apparent not only in general population groups—people such as you and me—but also in patient groups. Accordingly, one group of researchers reported nightmare disorder in 17 out of 30 DID patients (Agargun et al., 2003). They also found a 27.5% prevalence of nocturnal dissociative episodes in patients with dissociative disorders (Agargun et al., 2001). Another study investigated a group of borderline personality disorder patients and found that 49% of them suffered from nightmare disorder. Moreover, the patients with nightmare disorder displayed higher levels of dissociation than patients not suffering from nightmare disorder (Semiz, Basoglu, Ebrinc, & Cetin, 2008). Additionally, Ross (2011) found that patients suffering from DID reported higher rates of sleepwalking compared to a group of psychiatric outpatients and a sample from the general population. To sum up, there seems to be a strong relationship between dissociative symptoms and unusual sleep experiences that is evident in a range of phenomena, including waking dreams, nightmares, and sleepwalking. Sleep problems can be induced in healthy participants by keeping them awake for a long duration of time. This is called sleep deprivation. If dissociative symptoms are fueled by a labile sleep-wake cycle, then sleep loss would be expected to intensify dissociative symptoms. Some evidence that this might work was already found in 2001, when soldiers who underwent a U.S. Army survival training, which included sleep deprivation, showed increases in dissociative symptoms (Morgan et al., 2001). Other researchers conducted a study that tracked 25 healthy volunteers during one day and one night of sleep loss. They found that dissociative symptoms increased substantially after one night of sleep loss (Giesbrecht, Smeets, Leppink, Jelicic, & Merckelbach, 2007). To further examine the causal link between dissociative experiences and sleep, we (van der Kloet, Giesbrecht, Lynn, Merckelbach, & de Zutter, 2011) investigated the relationship between unusual sleep experiences and dissociation in a patient group at a private clinic. They completed questionnaires upon arrival at the clinic and again when they departed eight weeks later. During their stay, they followed a strict program designed to improve sleep problems. And it worked! In most patients, sleep quality was improved after eight weeks. We found a robust link between sleep experiences and dissociative symptoms and determined that sleep normalization was accompanied by a reduction in dissociative symptoms. An exciting interpretation of the link between dissociative symptoms and unusual sleep phenomena (see also, Watson, 2001) may be this: A disturbed sleep–wake cycle may lead to dissociative symptoms. However, we should be cautious. Although studies support a causal arrow leading from sleep disruption to dissociative symptoms, the associations between sleep and dissociation may be more complex. For example, causal links may be bi-directional, such that dissociative symptoms may lead to sleep problems and vice versa, and other psychopathology may interfere in the link between sleep and dissociative symptoms (van der Kloet et al., 2011). The sleep-dissociation model offers a fresh and exciting perspective on dissociative symptoms. This model may seem remote from the PTM. However, both models can be integrated in a single conceptual scheme in which traumatic childhood experiences may lead to disturbed sleep patterns, which may be the final common pathway to dissociative symptoms. Accordingly, the sleep-dissociation model may explain both: (a) how traumatic experiences disrupt the sleep–wake cycle and increase vulnerability to dissociative symptoms, and (b) why dissociation, trauma, fantasy proneness, and cognitive failures overlap. Future studies can also discern what characteristic sleep disruptions in the sleep–wake cycle are most reliably related to dissociative disorders, and then establish training programs, including medication regimens, to address these problems. This would constitute an entirely novel and exciting approach to the treatment of dissociative symptoms. In closing, the sleep-dissociation model can serve as a framework for studies that address a wide range of fascinating questions about dissociative symptoms and disorders. We now have good reason to be confident that research on sleep and dissociative symptoms will inform psychiatry, clinical science, and psychotherapeutic practice in meaningful ways in the years to come. Article: Extreme Dissociative Fugue: A life, Interrupted - A recent case of extreme dissociative fugue. The article is particularly powerful as it relates the story of a seemingly typical person, a young teacher, who suddenly experiences a dissociative fugue. Book: Schreiber, F. R. (1973). Sybil. Chicago: Regnery. Film: Debate Persists Over Diagnosing Mental Health Disorders, Long After ‘Sybil’. This short film would be useful to provide students with perspectives on the debate over diagnoses. It could be used to introduce the debate and provide students with evidence to argue for or against the diagnosis. Video: Depiction of the controversy regarding the existence of DID and show you some debate between clinicians and researchers on the topics of brain imaging, recovered memories, and false memories. False memory syndrome. Video: Patient Switching on Command and in Brain Scanner - This eight-minute video depicts the controversy regarding the existence of DID and relates some of the debate between clinicians and researchers on the topics of brain imaging, recovered memories, and false memories. Why are dissociation and trauma related to each other? How is dissociation related to sleep problems? Are dissociative symptoms induced or merely increased by sleep disturbances? Do you have any ideas regarding treatment possibilities for dissociative disorders? A group of diagnoses in the Diagnostic and Statistical Manual of Mental Disorders (DSM-IV-TR) classification system where anxiety is central to the person’s dysfunctioning. Typical symptoms include excessive rumination, worrying, uneasiness, apprehension, and fear about future uncertainties either based on real or imagined events. These symptoms may affect both physical and psychological health. The anxiety disorders are subdivided into panic disorder, specific phobia, social phobia, posttraumatic stress disorder, obsessive-compulsive disorder, and generalized anxiety disorder. This personality disorder is defined by a chronic pattern of instability. This instability manifests itself in interpersonal relationships, mood, self-image, and behavior that can interfere with social functioning or work. It may also cause grave emotional distress. Every day slips and lapses, also called absentmindedness. The quality or state of being aware of an external object or something within oneself. It has been defined as the ability to experience or to feel, wakefulness, having a sense of selfhood, and the executive control system of the mind. Research method that involves observation of all of a population, or a representative subset, at one specific point in time. An unconscious process, which protects an individual from unacceptable or painful ideas, impulses, or memories. Dissociative identity disorder, formerly known as multiple personality disorder, is at the far end of the dissociative disorder spectrum. It is characterized by at least two distinct, and dissociated personality states. These personality states – or ‘alters’ - alternately control a person’s behavior. The sufferer therefore experiences significant memory impairment for important information not explained by ordinary forgetfulness. A disruption in the usually integrated function of consciousness, memory, identity, or perception of the environment. The tendency to extensive fantasizing or daydreaming. A sample of people representative of the average individual in our society. A sleep disorder in which there is an inability to fall asleep or to stay asleep as long as desired. Symptoms also include waking up too early, experience many awakenings during the night, and not feeling rested during the day. Any dream in which one is aware that one is dreaming. A group of diagnoses in the Diagnostic and Statistical Manual of Mental Disorders (DSM-IV-TR) classification system where a disturbance in the person’s mood is the primary dysfunction. Mood disorders include major depressive disorder, bipolar disorder, dysthymic and cyclothymic disorder. An unpleasant dream that can cause a strong negative emotional response from the mind, typically fear or horror, but also despair, anxiety, and great sadness. The dream may contain situations of danger, discomfort, psychological or physical terror. Sufferers usually awaken in a state of distress and may be unable to return to sleep for a prolonged period of time. The number of cases of a specific disorder present in a given population at a certain time. The same dream narrative or dreamscape is experienced over different occasions of sleep. This mental disorder is characterized by a breakdown of thought processes and emotional responses. Symptoms include auditory hallucinations, paranoid or bizarre delusions, or disorganized speech and thinking. Sufferers from this disorder experience grave dysfunctions in their social functioning and in work. Structural Clinical Interview for DSM-IV Dissociative Disorders. A type of psychological test in which a person fills out a survey or questionnaire with or without the help of an investigator. A sufficient lack of restorative sleep over a cumulative period so as to cause physical or psychiatric symptoms and affect routine performances of tasks. Sleep paralysis occurs when the normal paralysis during REM sleep manifests when falling asleep or awakening, often accompanied by hallucinations of danger or a malevolent presence in the room. When a symptom is acute, or transient, lasting from a few minutes to a few hours. When a symptom forms part of the personality or character. An event or situation that causes great distress and disruption, and that creates substantial, lasting damage to the psychological development of a person. A dream that is very clear, where the individual can remember the dream in great detail. Abrams, M. P., Mulligan, A. D., Carleton, R. N., & Asmundson, G. J. G. (2008). Prevalence and correlates of sleep paralysis in adults reporting childhood sexual abuse. Journal of Anxiety Disorders, 22, 1535–1541. Agargun, M. Y., Kara H., Ozer, O. A., Selvi, Y., Kiran, U., & Ozer, B. (2003). Clinical importance of nightmare disorder in patients with dissociative disorders. Psychiatry Clinical Neuroscience, 57, 575–579. Agargun, M. Y., Kara, H., Ozer, O. A., Semiz, U., Selvi, Y., Kiran, U., & Tombul, T. (2001). Characteristics of patients with nocturnal dissociative disorders. Sleep and Hypnosis, 3, 131–134. Allen, J. G., & Coyne, L. (1995). Dissociation and the vulnerability to psychotic experiences. Journal of Nervous and Mental Disease, 183, 615–622. Arlow, J. (1966). Depersonalization and derealization. In: R. Loewenstein, L. M. Newman, M. Schur, & A. J. Solnit (Eds. ), Psychoanalysis–A general psychology (pp. 456–478). New York, NY: International Universities Press, Inc.
Barrett, D. (1995). The dream character as a prototype for the multiple personality “alter.” Dissociation, 8, 61-68. Barrett, D. (1994). Dreaming as a normal model for multiple personality disorder. In S.J. Lynn & J.W. Rhue (Eds. ), Dissociation: Clinical and theoretical perspectives (pp. 123–135). New York, NY: Guilford Press. Bernstein, E., & Putnam, F. W. (1986). Development, reliability, and validity of a dissociation scale. Journal of Nervous and Mental Disease, 174, 727–735. Bob, P. (2004). Dissociative processes, multiple personality, and dream functions. American Journal of Psychotherapy, 58, 139-149. Bremner, J. D. (2010). Cognitive processes in dissociation: Comment on Giesbrecht et al. (2008). Psychological Bulletin, 136, 1–6. Bremner, J. D., & Brett, E. (1997). Trauma-related dissociative states and long-term psychopathology in posttraumatic stress disorder. Journal of Trauma and Stress, 10, 37–49. Carlson, E. B., & Putnam, F. W. (2000). DES-II. Psychoanalytic Inquiry, 20, 361–366. Foote, B., Smolin, Y., Kaplan, M., Legatt, M.E., & Lipschitz, D. (2006). Prevalence of dissociative disorders in psychiatric outpatients. American Journal of Psychiatry, 163, 623–629. Franklin, J. (1990). Dreamlike thought and dream mode processes in the formation of personalities in MPD. Dissociation, 3, 70–80. Gershuny, B. S., & Thayer, J. F. (1999). Relations among psychological trauma, dissociative phenomena, and trauma-related distress: A review and integration. Clinical Psychology Review, 19, 631–657. Giesbrecht, T., Lynn, S. J., Lilienfeld, S. O., & Merckelbach, H. (2010). Cognitive processes, trauma, and dissociation—Misconceptions and misrepresentations: Reply to Bremner (2010). Psychological Bulletin, 136, 7–11. Giesbrecht, T., Lynn, S. J., Lilienfeld, S. O., & Merckelbach, H. (2008). Cognitive processes in dissociation: An analysis of core theoretical assumptions. Psychological Bulletin, 134, 617–647. Giesbrecht, T., Smeets, T., Leppink, J., Jelicic, M., & Merckelbach, H. (2007). Acute dissociation after 1 night of sleep loss. Journal of Abnormal Psychology, 116, 599–606. Hacking, I. (1995). Rewriting the soul: Multiple personality and the sciences. Princeton, NJ: Princeton University Press. Kihlstrom, J. F. (2005). Dissociative disorders. Annual Review of Clinical Psychology, 10, 1–27. Koffel, E., & Watson, D. (2009). The two-factor structure of sleep complaints and its relation to depression and anxiety. Journal of Abnormal Psychology, 118, 183–194. Lee, W. E., Kwok, C. H. T., Hunter, E. C. M., Richards, M. & David, A. S. (2010). Prevalence and childhood antecedents of depersonalization syndrome in a UK birth cohort. Social Psychiatry and Psychiatric Epidemiology, (in press). Levin, R., & Fireman, G. (2002). Nightmare prevalence, nightmare distress, and self-reported psychological disturbance. Sleep, 25, 205–212. Levitan, H. L. (1967). Depersonalization and the dream. The Psychoanalytic Quaterly, 36, 157-171. McNally, R. J., & Clancy, S. A. (2005). Sleep paralysis in adults reporting repressed, recovered, or continuous memories of childhood sexual abuse. Journal of Anxiety Disorders, 19, 595–602. Meares, R. (1999). The contribution of Hughlings Jackson to an understanding of dissociation. American Journal of Psychiatry, 156, 1850–1855. Merckelbach, H., & Jelicic, M. (2004). Dissociative symptoms are related to endorsement of vague trauma items. Comprehensive Psychiatry, 45, 70–75. Merckelbach, H., & Muris, P. (2002). The causal link between self-reported trauma and dissociation: A critical review. Behaviour Research and Therapy, 39, 245–254. Merckelbach, H., Horselenberg, R., & Schmidt, H. (2002). Modeling the connection between self-reported trauma and dissociation in a student sample. Personality and Individual Differences, 32, 695–705. Merckelbach, H., Muris, P., Rassin, E., & Horselenberg, R. (2000). Dissociative experiences and interrogative suggestibility in college students. Personality and Individual Differences, 29, 1133–1140. Merckelbach, H., à Campo, J. A., Hardy, S., & Giesbrecht, T. (2005). Dissociation and fantasy proneness in psychiatric patients: A preliminary study. Comprehensive Psychiatry, 46, 181–185. Morgan, C. A., Hazlett, G., Wang, S., Richardson, E. G., Schnurr, P., & Southwick, S. M. (2001). Symptoms of dissociation in humans experiencing acute, uncontrollable stress: A prospective investigation. American Journal of Psychiatry, 158, 1239–1247. National Sleep Foundation. (2005). 2005 Sleep in America poll. Washington DC: Author. Rauschenberg, S.L., Lynn, S.J. (1995). Fantasy proneness, DSM-III-r axis I psychopathology and dissociation. Journal of Abnormal Psychology, 104, 373-380. Ross, C. A. (2011). Possession experiences in Dissociative Identity Disorder: A preliminary study. Journal of Trauma & Dissociation, 12, 393–400. Ross, C. A., Anderson, G., Fleisher, W. P., & Norton, G. R. (1991). The frequency of Multiple Personality Disorder among psychiatric-inpatients. American Journal of Psychiatry, 148, 1717–1720. Rufer, M., Fricke, S., Held, D., Cremer, J., & Hand, I. (2006). Dissociation and symptom dimensions of obsessive-compulsive disorder—A replication study. European Archives of Psychiatry and Clinical Neuroscience, 256, 146–150. Sandberg, D., & Lynn, S.J. (1992). Dissociative experiences, psychopathology and adjustment, and child and adolescent maltreatment in female college students. Journal of Abnormal Psychology, 101, 717–723. Sar, V., Tutkun, H., Alyanak, B., Bakim, B., & Baral, I. (2000). Frequency of dissociative disorders among psychiatric outpatients in Turkey. Comprehensive Psychiatry, 41, 216-222. Schreiber, F. R. (1973). Sybil. Chicago, IL: Regnery. Semiz, U. B., Basoglu, C., Ebrinc, S., & Cetin, M. (2008). Nightmare disorder, dream anxiety, and subjective sleep quality in patients with borderline personality disorder. Psychiatry and Clinical Neurosciences, 62, 48–55. Spiegel, D., Loewenstein, R. J., Lewis-Fernandez, R., Sar, V., Simeon, D., Vermetten, E., Cardena, E., & Dell, P. F. (2011). Dissociative disorders in DSM-5. Depression and Anxiety, 28, 824–852. Steinberg, M. (2001). The stranger in the mirror: Dissociation—the hidden epidemic. New York, NY: Harper Collins Publishers, Inc.
Steinberg, M. (1994). Structured Clinical Interview for DSM-IV Dissociative Disorders (SCID-D) (p. 96). Washington, DC: American Psychiatric Press. Suszek, H., & Kopera, M. (2005). Altered states of consciousness, dissociation, and dream recall. Perceptual Motor Skills, 100, 176–178. Thigpen, C. H., & Cleckley, H. (1957). The Three Faces of Eve. New York, NY: McGraw-Hill. Tutkun, H., Sar, V., Yargic, L. I., Ozpulat, T., Yanik, M., & Kiziltan, E. (1998). Frequency of dissociative disorders among psychiatric inpatients in a Turkish university clinic. American Journal of Psychiatry, 155, 800–805. Van der Hart, O., & Horst, R. (1989). The dissociation theory of Pierre Janet. Journal of Traumatic Stress, 2, 2–11. Vermetten, E., Schmahl, C., Lindner, S., Loewenstein, R.J. & Bremner, J.D. (2006). Hippocampal and amygdalar volumes in dissociative identity disorder. American Journal of Psychiatry, 163, 630–636. Watson, D. (2001). Dissociations of the night: Individual differences in sleep-related experiences and their relation to dissociation and schizotypy. Journal of Abnormal Psychology, 110, 526–535. Wright, D. B., & Loftus, E.F. (1999). Measuring dissociation: Comparison of alternative forms of the Dissociative Experiences Scale. American Journal of Psychology, 112, 497–519. Yu, J. H., Ross, C. A., Keyes, B. B., Li, Y., Dai, Y. F., Zhang, T. H., Wang, L. L., Fang, Q., & Xiao, Z. P. (2010). Dissociative disorders among Chinese inpatients diagnosed with schizophrenia. Journal of Trauma and Dissociation, 11, 358–372. Dalena van der Kloet is a psychologist and Ph.D. student at Maastricht University, The Netherlands. 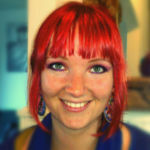 She is recommended as one of the most promising young researchers in the field of dissociative symptoms and disorders. She has published in Journal of Abnormal Psychology, and Perspectives on Psychological Science. Dissociative Disorders by Dalena van Heugten - van der Kloet is licensed under a Creative Commons Attribution-NonCommercial-ShareAlike 4.0 International License. Permissions beyond the scope of this license may be available in our Licensing Agreement.